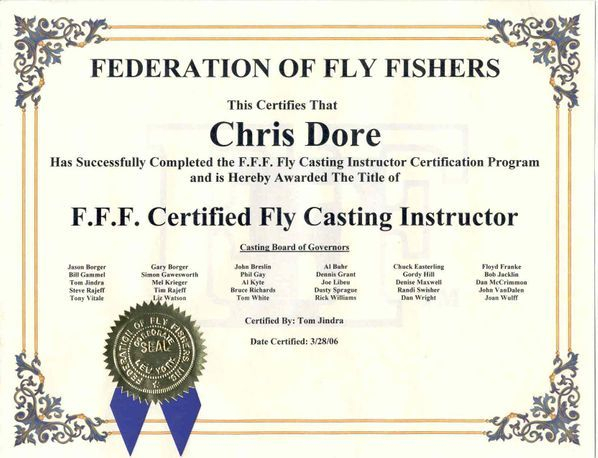 Chris is a Federation of Fly Fishers Certified Casting Instructor, and as such, is internationally qualified to teach, improve, or correct your fly casting technique. 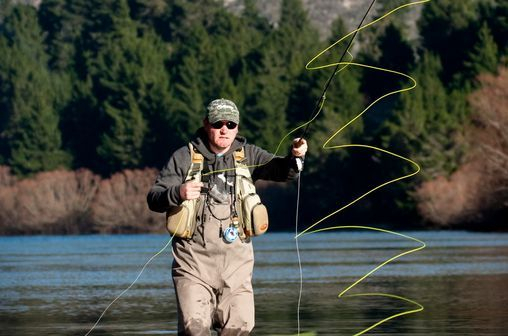 An introduction to the fly rod and associated equipment, how they work, and the fundamental mechanics to get you running with good form. Learn basic overhead, and roll casting techniques and a demonstration on dealing with the wind. Self taught? Been flyfishing for a while? There are 5 essential elements to a successful cast. Let Chris indoctrine you to these, and introduce you to effective drills to better your casting stroke. 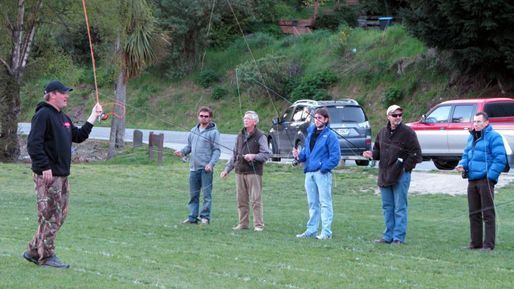 Learn to improve short line accuracy and present your fly in a variety of situations. Learn the straight line presentation, as well as the pile, tuck, serpentine and easy curve casts. Learn the secrets to improving both distance and accuracy with good-form mechanics and additions to your stroke. Learn how to Improve tracking, power application and timing, and learn the double haul. All going well you will learn to drift, and shoot line into the backcast. Using highly adaptable double handed 'switch rods', Chris will introduce you to the fundamentals of spey casting. Learn how to form an efficient D loop, improve anchor placement and progress to the single and double spey, snake roll, perry poke, snap - T and more with correct technique. For more advanced Two Hand tuition, we recommend a half day guide trip focussing on instruction. One on one, we will work to improve the efficiency of your stroke. Improve accuracy, distance and your repitoire of casts including single handed spey techniques, dynamic lifts and advanced presentation techniques. Cost: $200 - Maximum one pax only. 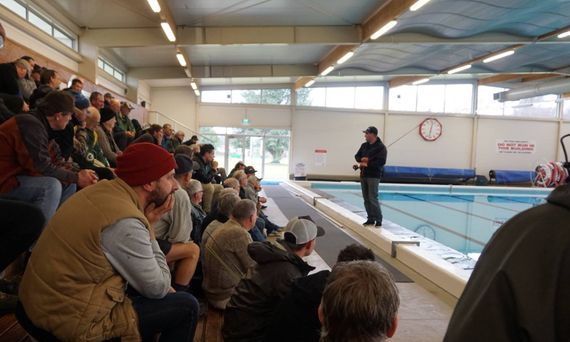 New Zealand is a whole new ball game for the majority of international anglers and if their guide cannot identify what needs to be worked on, communicate and teach this quickly and efficiently, then its going to be a loooong day. 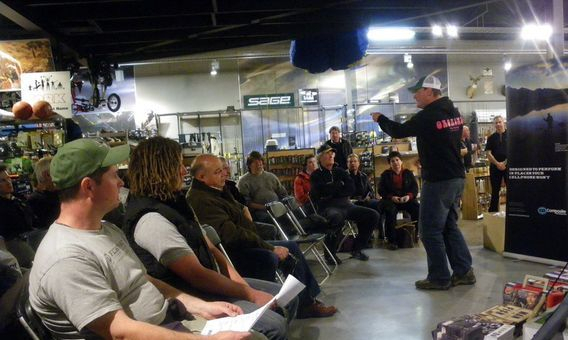 I offer "learn to teach" sessions focussing on the key adult learning principles, effective communication and fly casting methodology, "fault diagnosis and correction" and "how to improve" progression lessons for guides and instructors. fire me an email and see what I can do for you. Guide lessons will be discrete if desired, however I feel clients want to see guides who want to improve for their benefit. $250.00 per hour. Half day clinics available from $50 per person. Get a group together and let Chris design a clinic to suit you. I can Tailor a casting clinic to suit your timeframe and requirements and target any areas in which you require assistance. Contact me to discuss my fly casting services. Free Tip: As your backcast unrolls, gravity is pulling your line towards the ground. If you send your line directly behind you, by the time it unfurls, it will have dropped beneath the rod tip, requiring precious energy from the rod just to lift it up and over again. Think of your backcast as more of an 'up cast', stopping your rod tip on an upward travel. This will change the trajectory of your backcast, and by the time your loop straightens, it will still remain high and efficient, ensuring a smooth beginning to your forward stroke. "Not only is Chris a great angler and caster but he’s a great guy with the patience and aptitude to improve any anglers skill and enjoyment level of this sport. All I can say is; if you get the chance to join Chris on a days guiding or a casting clinic then don’t miss it; your view of fly fishing will never be the same"
Life's too short to not catch fish - Consult Chris to learn effective techniques and ultimately improve your catch rate.